Metastable materials are materials that can exist in more than one state. Metastable materials have broad applicability ranging from simple colour change to applications in data storage. For most applications controlling particle size is critical to the successful adoption of metastable materials. By way of example, in data storage nanometre-sized particles of uniform size and shape are required. Many industrial companies and research groups have adopted flow chemistry as a valuable technique for controlling particle size. 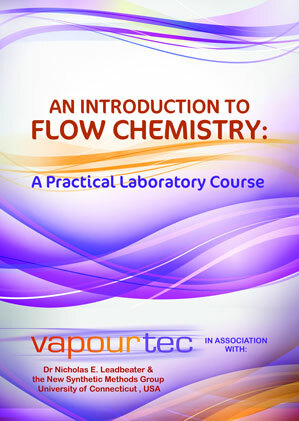 It is well documented that flow chemistry facilitates precise control over stoichiometry, mixing time, reaction time and temperature. Precise control of these variables leads to repeatable particle sizes. 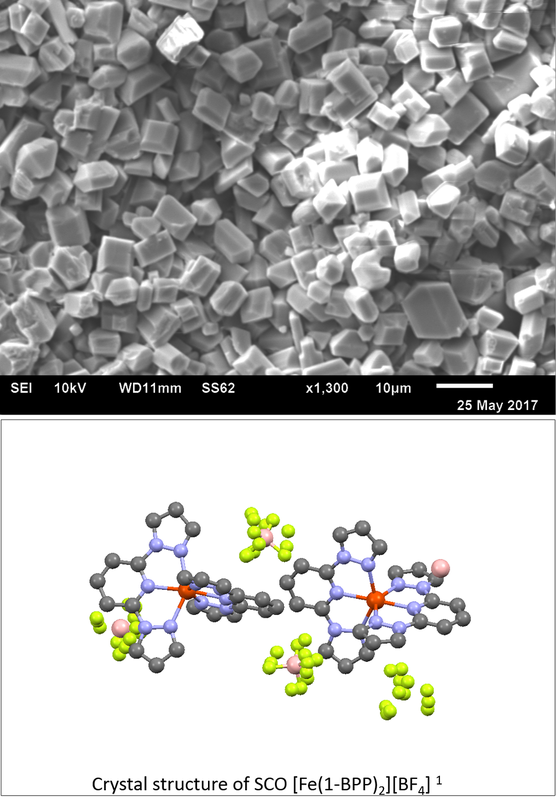 Vapourtec is grateful to the Wilson Group for allowing us to share the exciting results obtained using the PMR for the synthesis of switchable spin crossover compound [Fe(1-BPP)2][BF4]. The FeBPP complex was first published in; 10.1039/B100995H by Malcolm Halcrow Chem Commun, 2001, 577-578. The group at Bath have demonstrated improvements in the control of crystallisation using the Vapourtec PMR.